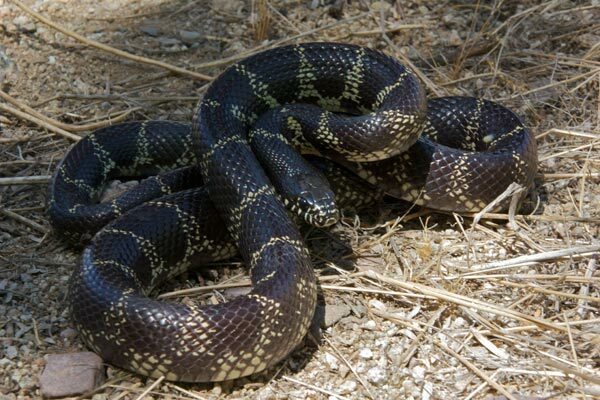 This species was formerly considered a subspecies of Lampropeltis getula. Pyron and Burbrink elevated L. splendida to a separate species in 2009. 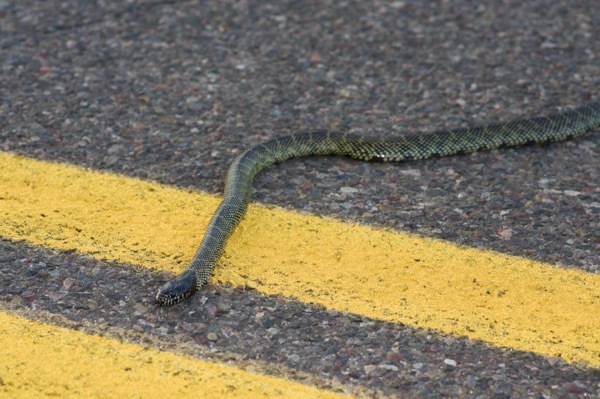 My friend Roger Repp and I saw this snake as it was crossing a road on which we had earlier seen a Western Patch-nosed Snake, a Gila Monster, and a Sonoran Gophersnake. This individual shows some characteristics of L. splendida and some characteristics of L. californiae. 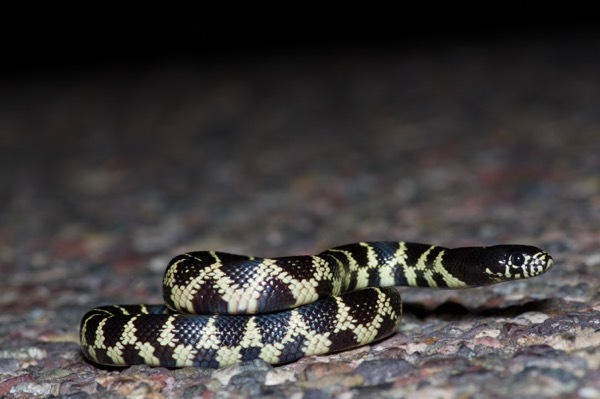 It is perhaps a hybrid between these two species; hybrids are known to occur in this area of Arizona. 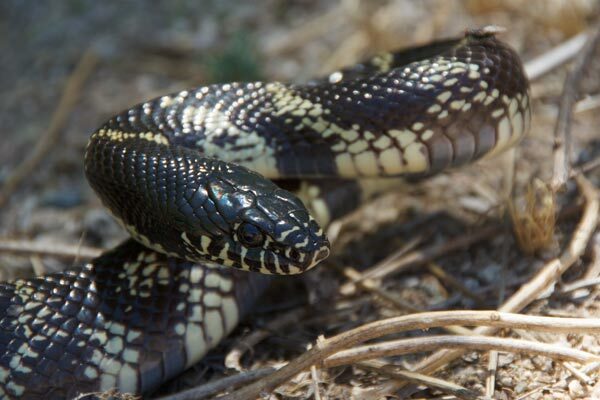 There's no doubt that this snake is a full-blooded Desert Kingsnake. It was a gorgeous individual. Its only flaw was a complete inability to stop moving for five seconds so I could get a decent photo. Five seconds! Is that too much to ask? This youngster was slightly more cooperative for photos, but only slightly. It still never stopped moving for more than a few seconds, but at least it was willing to partially coil up. I saw the gorgeous adult in the first picture above near dusk as it was gliding across a little-used road. I pulled over and took a few photos as it was moving slowly, but could not encourage it to stop moving completely. 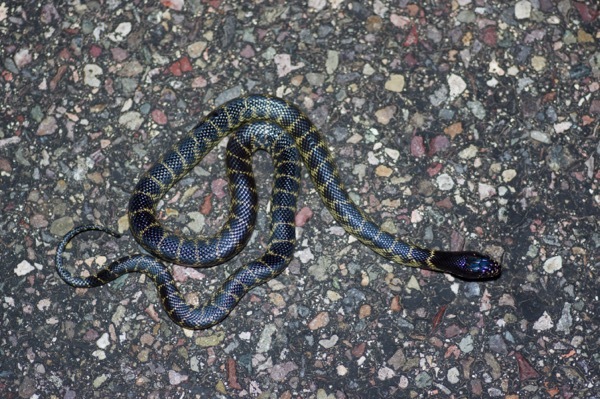 Then a car appeared and was closing in on us, so I grabbed the snake quickly and released it at the side of the road. The snake no longer moved slowly, and I got no more photos. 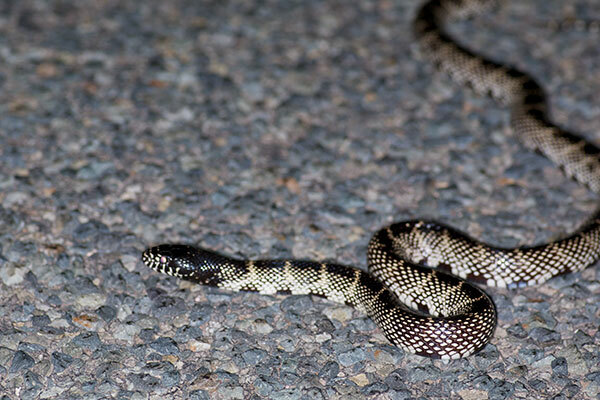 A little later I saw the very small kingsnake in the second picture. It was slightly more cooperative, but only slightly.